Product #17549 | SKU ENCORE 100I | 0.0 (no ratings yet) Thanks for your rating! 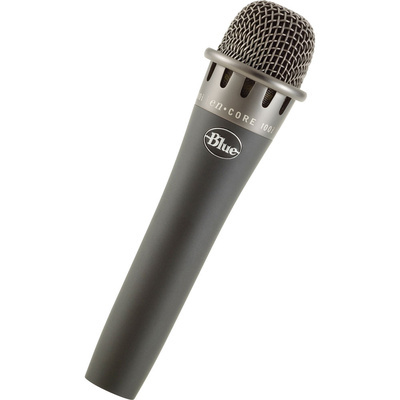 The Blue Encore 100i Dynamic Instrument Microphone features studio-grade performance and sound, for both stage and professional recording applications. The capsule and transformer are optimised to capture guitars, amplifier cabinets, horns, percussion and other instruments with pristine fidelity and transparency. Its rugged construction and reinforced grille are sure to handle the rigours of life on the road and in the studio.